5 lessons a fortnight (5 hours) are dedicated to History lessons. Germany, 1890-1945 will look at both World Wars as well as studying the ever popular Hitler’s Germany topic from the legacy GCSE History syllabus. Conflict and Tension is based around the Cold War and will look at the early years, causes and crises of the Cold War including the Cuban Missile Crisis and Berlin Wall. This is very similar to the medicine through time module studied on the current GCSE syllabus. The module provides an exciting overview of medicine over time. William the Conqueror established control of the country, including, castles, the Domesday Book and much more. What skills and interests are needed to be successful for this course? History is considered to be an academically challenging subject, respected by top universities. Therefore students will need to be a competent reader with a thirst for knowledge and a passion for History. You will need to be resilient and willing to develop both analytical and evaluation skills. 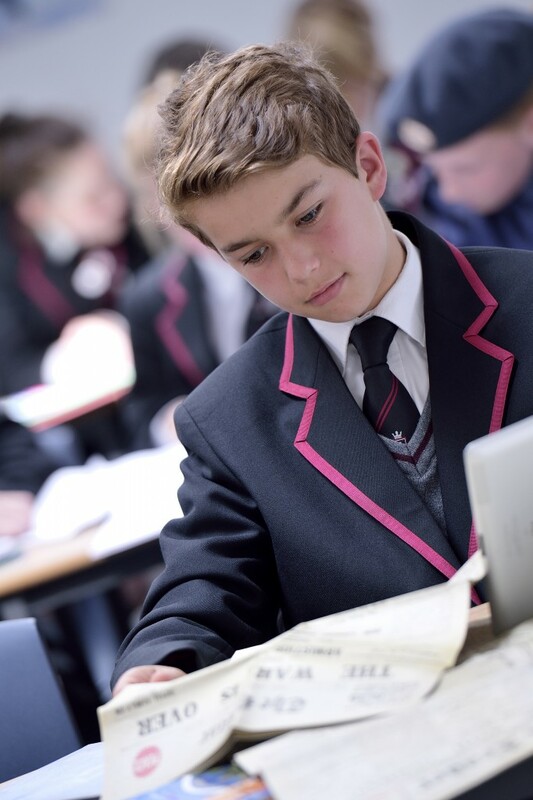 As an introduction to History in Year 9, the students will focus on past paper topics studied in the current GCSE specification to learn the skills required for studying Key Stage 4 History. As mentioned above, the course will then develop by moving into the new GCSE topics in Year 10, as soon as the new guidelines are released. Year 9: Learning cycles 1-3 will focus on Medicine Through Time, beginning with a contextual view of ancient medical belief. Students will look at the works of the Ancient Greeks and Romans before moving on to studying medieval, renaissance and modern medicine and public health. Learning cycles 4 and 5 will begin with the students looking into Norman England. Year 10 and 11: Students will complete their Norman England module before completing their Germany and then Conflict and Tension modules, in that particular order. Throughout this time there will be full GCSE past papers completed as well as numerous past paper questions. There will be time towards the end of Year 11, possibly even two learning cycles, to recap over work studied throughout the three year course in preparation for the exams. Students’ work will be assessed at regular intervals over the three years. There will be regular mock assessments each year. Furthermore, the controlled assignment will be internally standardised, with a sample sent to an external moderator. The course contains two 1hour 45minute tests that are worth 84 marks and 50% each. Each test has 4 marks awarded for SPAG. Paper 1 contains 10 compulsory questions and Paper 2 contains 8 compulsory questions. Homework will be set on a weekly basis, with the expectation that students attend a weekly revision session in Year 11. Independent learning will be focused mainly on completing past questions and training in exam technique and skills. How would I use this qualification in the future? The study of History can lead to respected careers such as Law, Journalism and Teaching. History is a prestigious GCSE due to the high level of challenge and respect it garners from top universities. It showcases a high level of academia whilst naturally supporting other subjects. History will help to accelerate progress in English, as well as the other Humanities subjects. The ability to think critically and provoke questioning of events both past and present is a life skill of premium importance. It also can lead to further studies in the King’s 6th Form in Advanced Level History. What are the top 5 universities currently for this subject? Education courses of interest; this will provide you with information on courses which have specific subject entry requirements.